Lululemon for anyone that doesn’t know, is an athletic apparel store for, men and women, mostly dedicated to yoga-wear and workout clothing, but slowly moving into the day-to-night market as well. They have been extremely successful in the workout retail division, especially for women who enjoy yoga or wearing yoga attire. Lululemon is also known for having yoga, running, weight training and other fitness classes for the public to attend. Although Lululemon has grown into a global business from one store in 1998 in Vancouver to over 270 locations worldwide, every company has it’s period of decline. For Lululemon it was when in March of 2013 due to their recall on leggings for being too shear, this caused a large sales reduction for them and other issues as well. 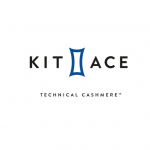 A new company called Kit and Ace has been introduced into the similar market of Lululemon. The founders of Kit and Ace are entirely backed by the founders of Lululemon due to a large issue in the Lululemon board of directors. Kit and Ace is still in its introductory stage as a business, but they plan to grow globally and appeal to the same target market as Lululemon. I found this article to be extremely relative to what we are learning in class when it comes to quality control and operations strategy in a global environment. Dealing with quality control is definitely a topic that relates to Lululemon and their product recall. We learned the importance of implicating quality for companies because it can help or hinder a company’s reputation, which in this case the lack of quality on hundreds of thousands of leggings has definitely hindered Lululemon. It caused many customers from all over the world to lack confidence in their product and be cautious when it comes to purchasing this product. Kit and Ace is definitely going to use the quality control issue of Lululemon to help improve their own quality control and it’s possible that customers will become more loyal to them instead. One thing that Lululemon has over Kit and Ace without a doubt is their operational strategy with expanding their company globally. Lululemon has a globally known name, it’s not just a Vancouver store, it’s grown into a well known company in all different countries. Lululemon realized how important it was for them to globalize because they saw it would improve the supply chain, reduce costs, improve operations, understand markets, improve products, and attract and retain global talent. Rather than staying a locally known store, they now have facilities closer to unique resources in different countries. They have reduced costs with lower direct and indirect costs with foreign locations. Lululemon’s competitive advantage is definitely differentiation because they chose to use unique material to create their products which have attracted customers who are into not only fitness but comfortable everyday wear as well. Kit and ace will need to work on global expansion by using the experienced and professional operational strategy of Lululemon. Have you ever had anything recalled that you’ve owned? If so, did that recall cause you to think differently about the company? How important is quality control to a company? Could there be a competition between Lululemon and Kit and Ace now with customers cautious about Lululemon products?